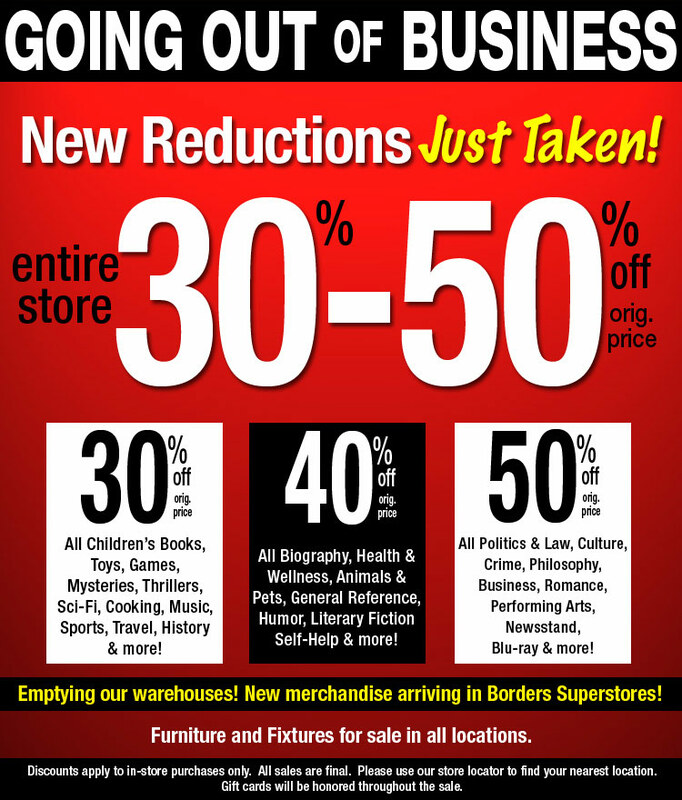 As most of you know, Borders is having a going out of business sale. Currently all items in store are 30-50% off. Furniture and fixtures are also on sale at all locations. They will continue to honor gift cards throughout the sale, so be sure to use them now before their stock is gone.